Silo Park is the place to be every Friday this summer. 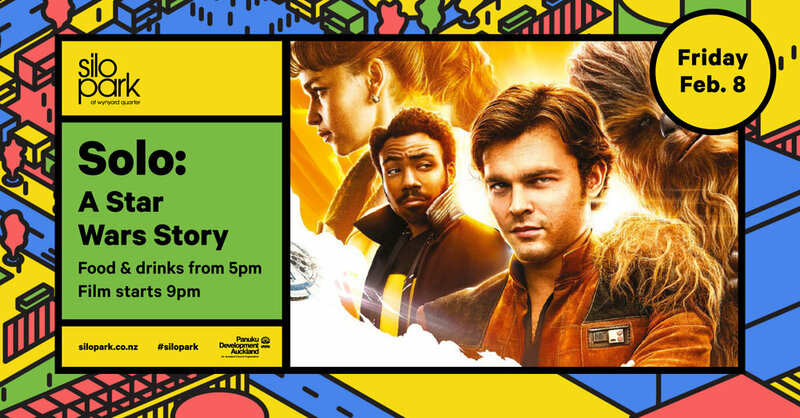 Finish up your work week and pop down to Silo Park for an ice-cold beverage, tasty food truck bites and watch a fantastic film. This Friday we’re taking a journey to a galaxy far, far away. Solo: A Star Wars Story is an all-new adventure following a young Han Solo.